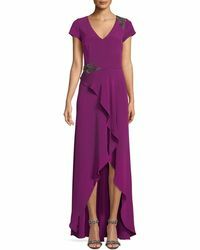 If your closet could do with a touch of glamour, then dresses by David Meister are just the thing you need. 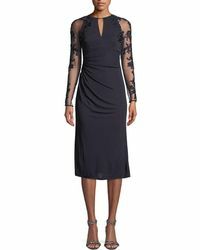 Think embroidered lace midi dresses, embellished cocktail dresses and draped gowns. For David Meister, it's all about the little details such as subtle pleats, mesh overlays with petal appliqués and flattering tucks at the waist. These dresses are the kind that never go out of style, a.k.a. ultimate investments.